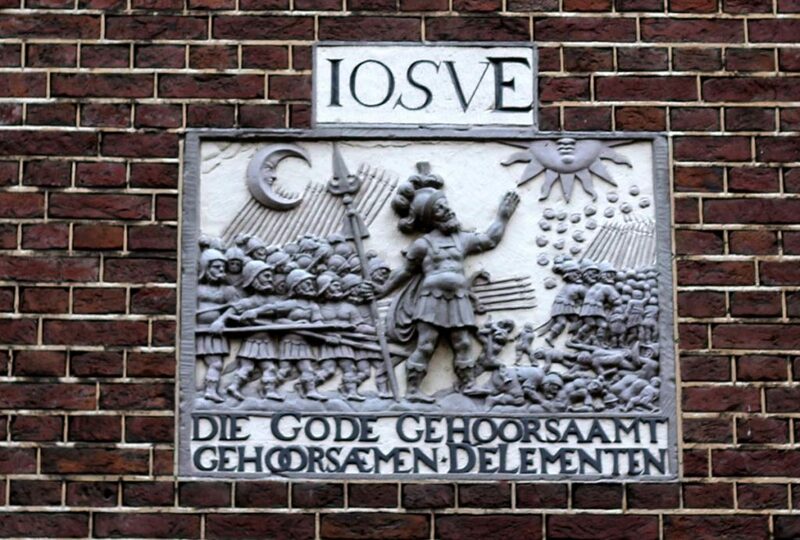 When you are walking around Amsterdam, look up! 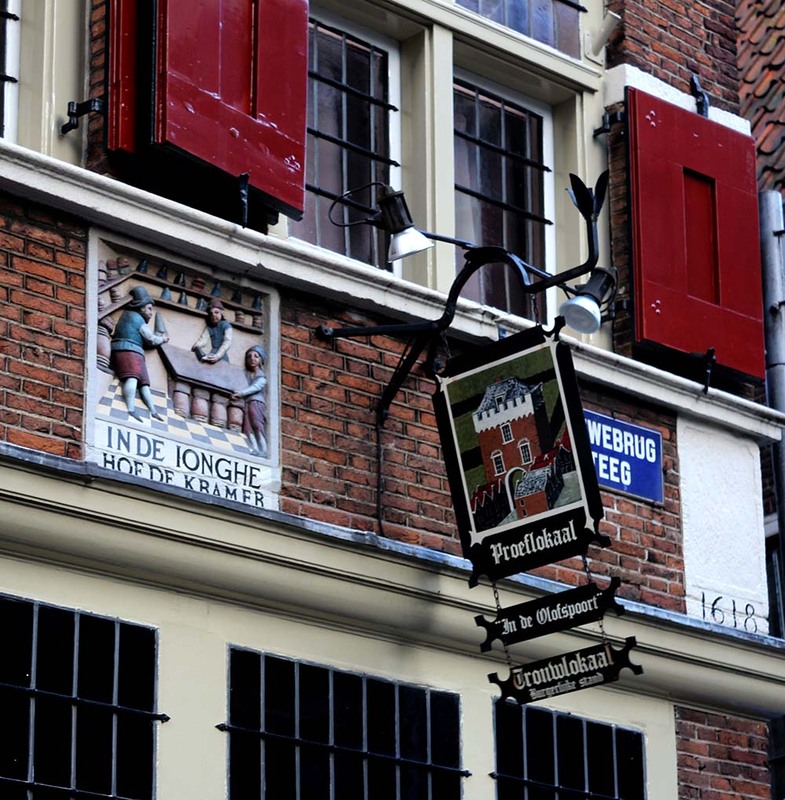 See those little signs or plaques on the facades of the buildings? 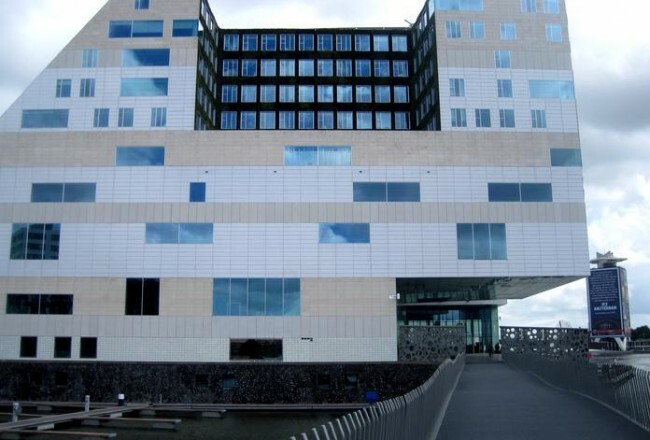 Learn more about gevelstenen and see our favorites here. 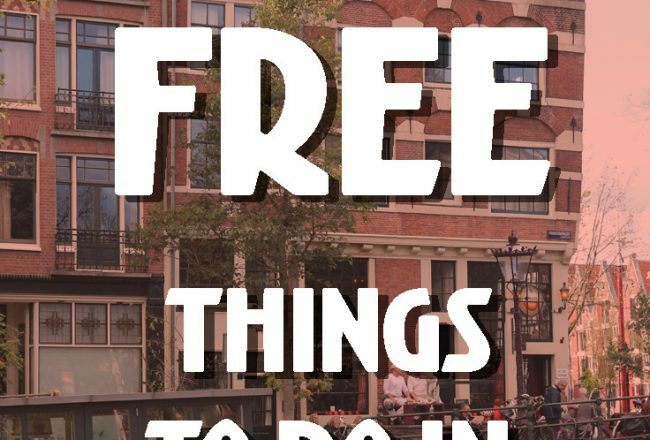 I thought I was the only one obsessed with these fascinating things, but a basic Google search turned up a bunch of people who love to inventory and research gevelstenen. 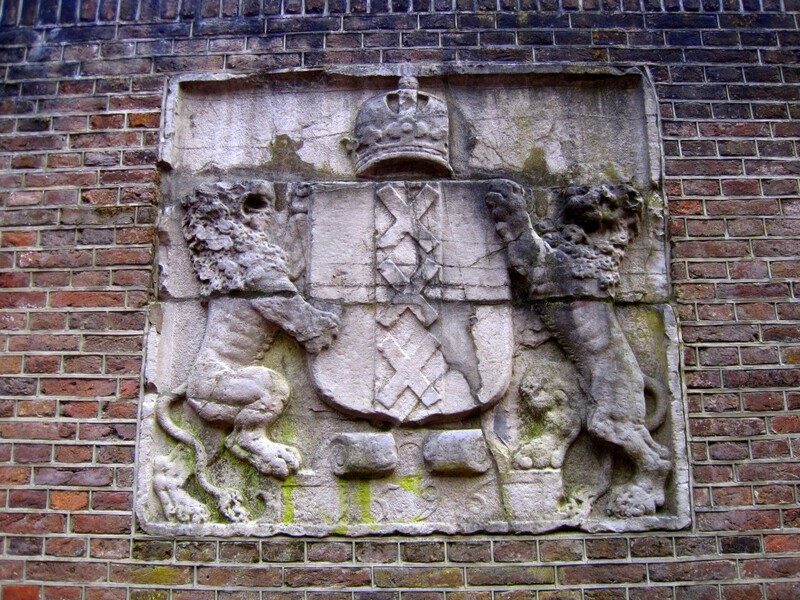 Some gevelstenen are fanciful like unicorns, mermaids and pegasus, and many are religious in nature. 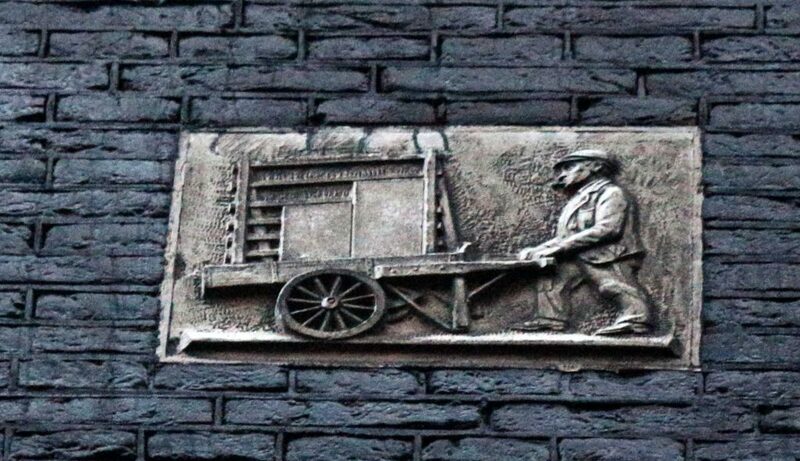 Often the stones are descriptive of the business located there, like a dentist with his hand in the mouth of a patient or an animal representing a butchershop. 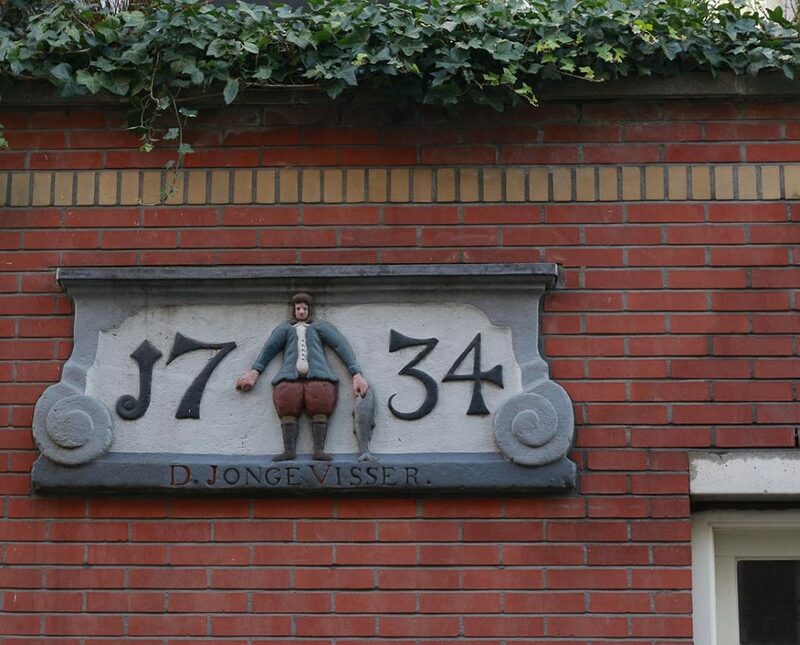 Street numbering was introduced in the Netherlands around 1875, and before that these stones could be used to denote a certain address, or simply used as decoration. 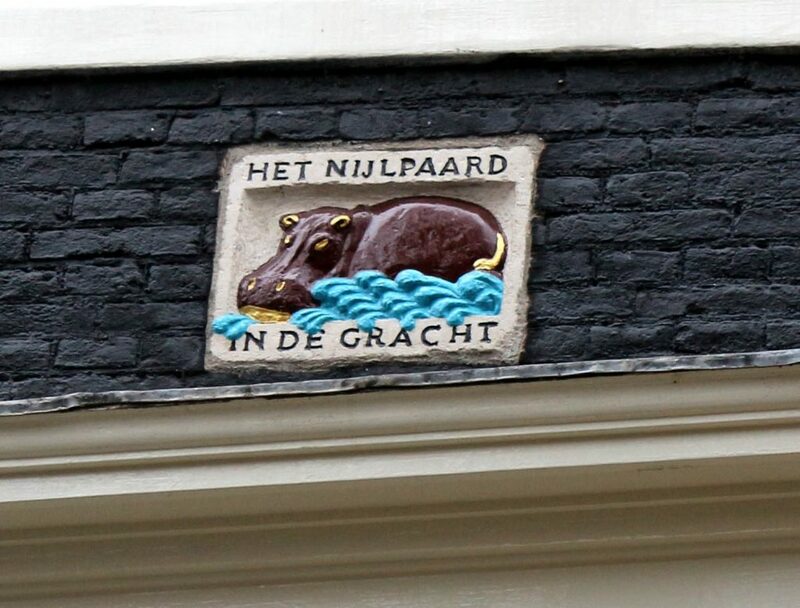 Some of the gevelstenen that look ancient are quite new, like the hippo in the canal that can be seen on Brouwersgracht (below). Others show their signs of age but are still absolutely charming. This ostrich with a horseshoe in her mouth symbolizes “strength through resistance”. 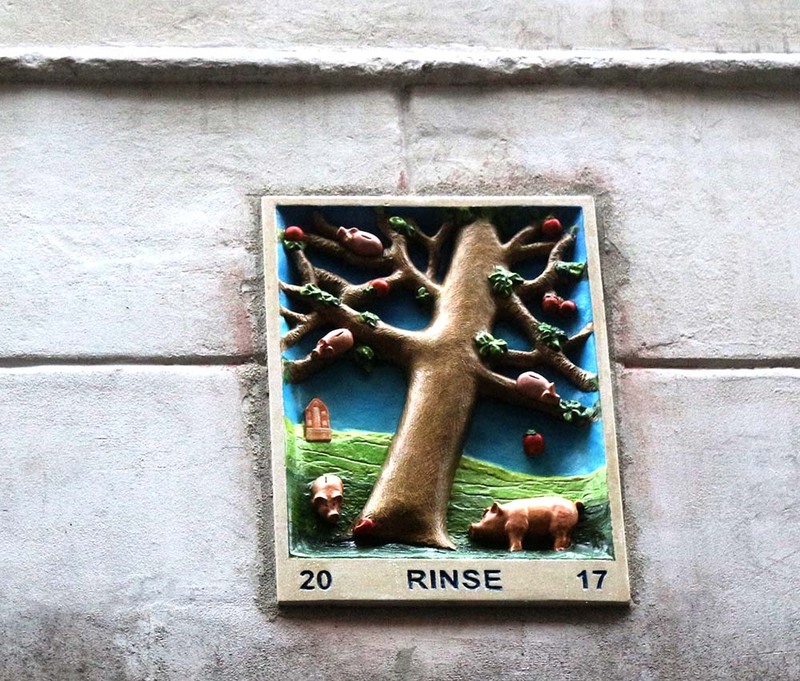 My photo is from 2013, you can see here that the stone has since been restored and painted. Which version do you prefer? 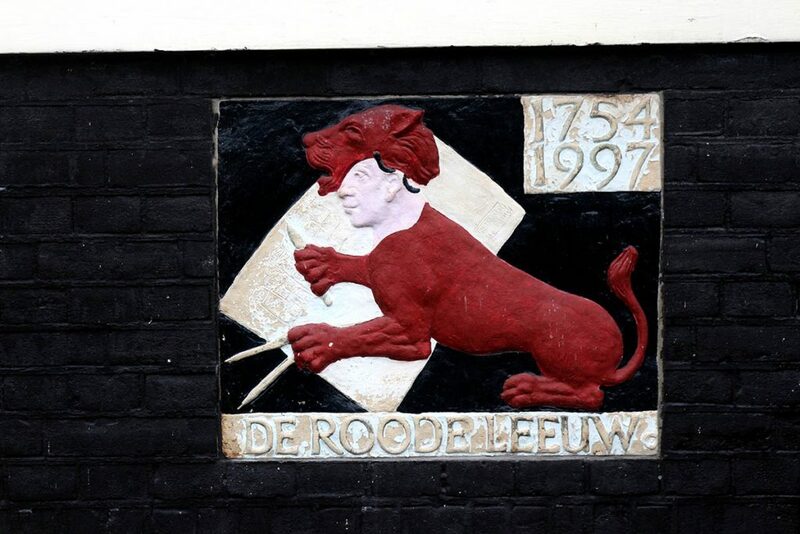 Both old and new gevelstenen often have interesting stories behind them, whether from a well-known fable or facts about the family that lived in the house. 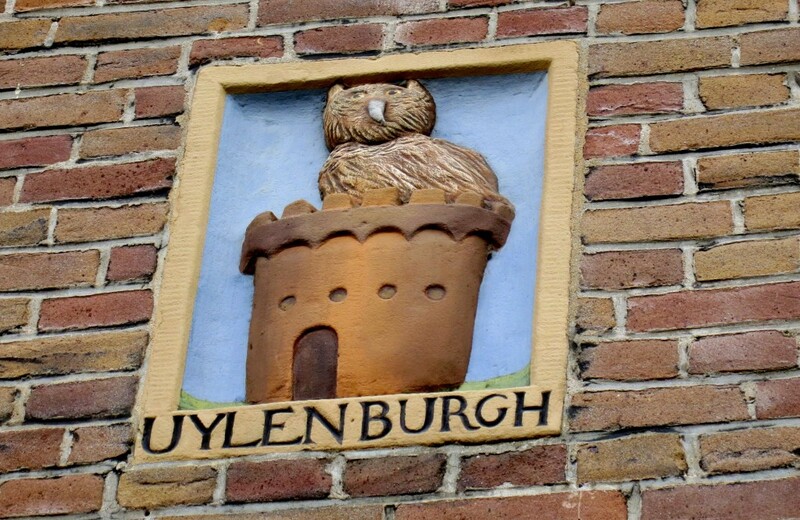 The owl in the tower on Uilenburgerstraat. 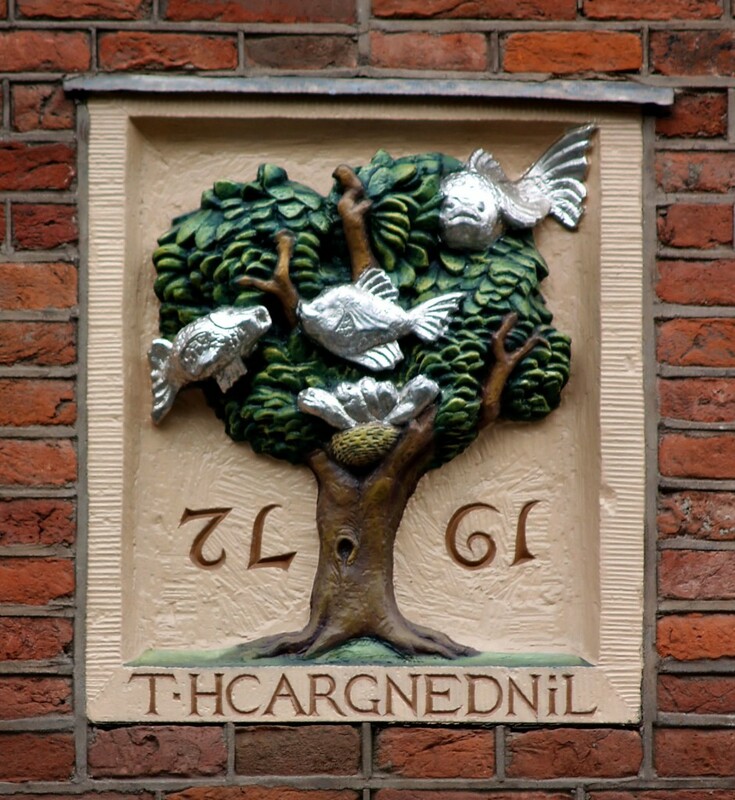 The fish in the tree, a newer stone by Hans ‘t Mannetje. The story behind it is that in an “inverted world” fish would build their nests in trees. 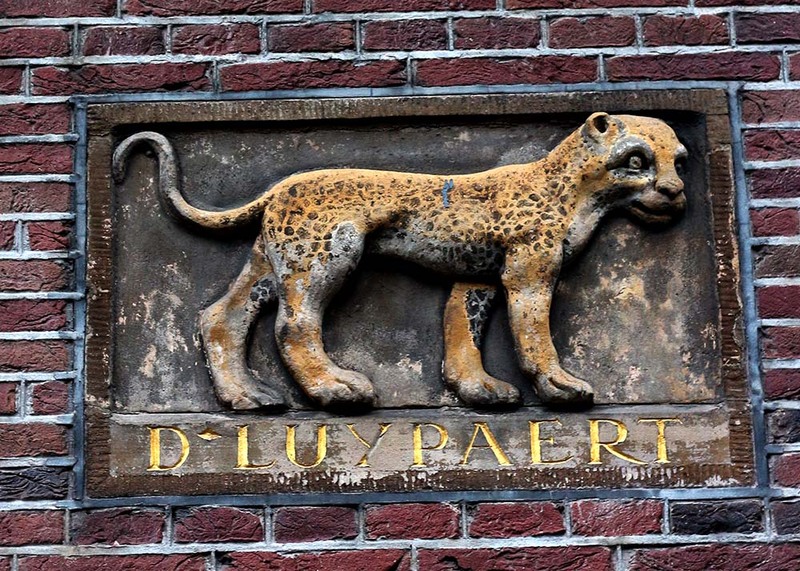 It refers to the Lindengracht canal being filled in. You’ll notice the year and the word at the bottom are written backwards. So cool! 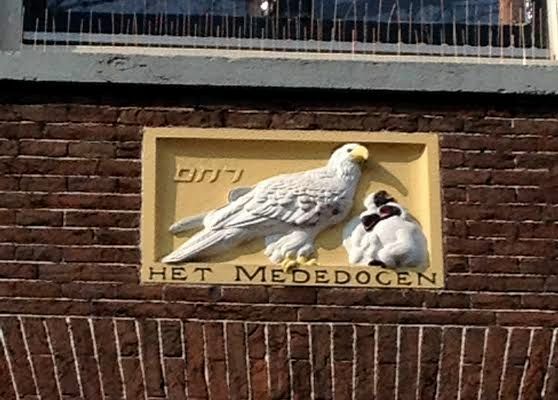 This eagle feeding her chicks is in honor of a mayor of Amsterdam. 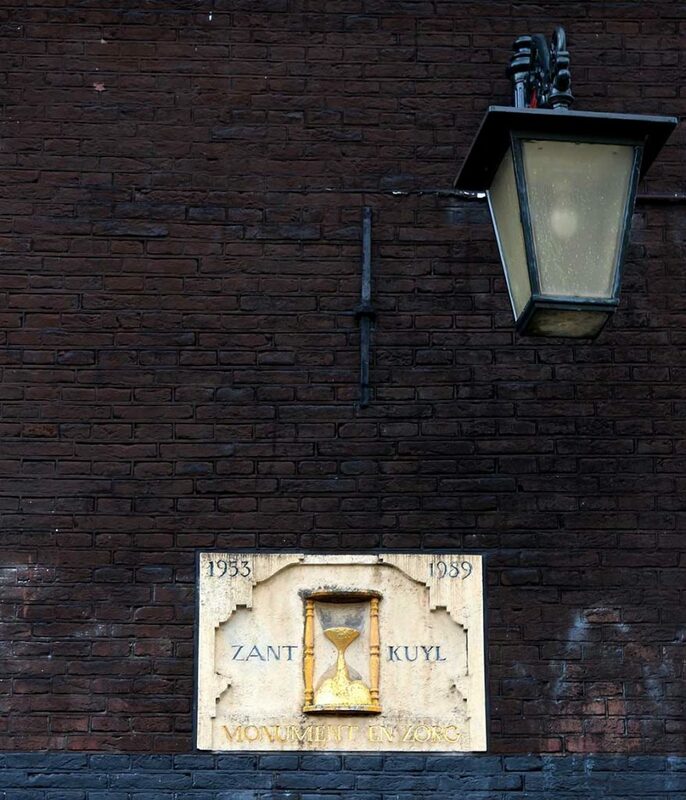 Notice the Hebrew lettering on the corner of the stone. 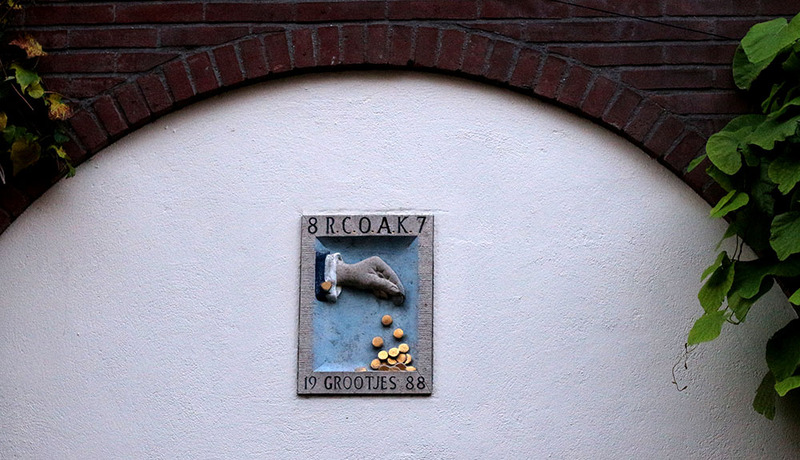 Here’s a new one I found a few weeks back, I’ll have to do a bit more research but I’m guessing it is from 2017 and it has something to do with money not growing on trees. In case you can’t see it too clearly it has little piggybanks in a tree. 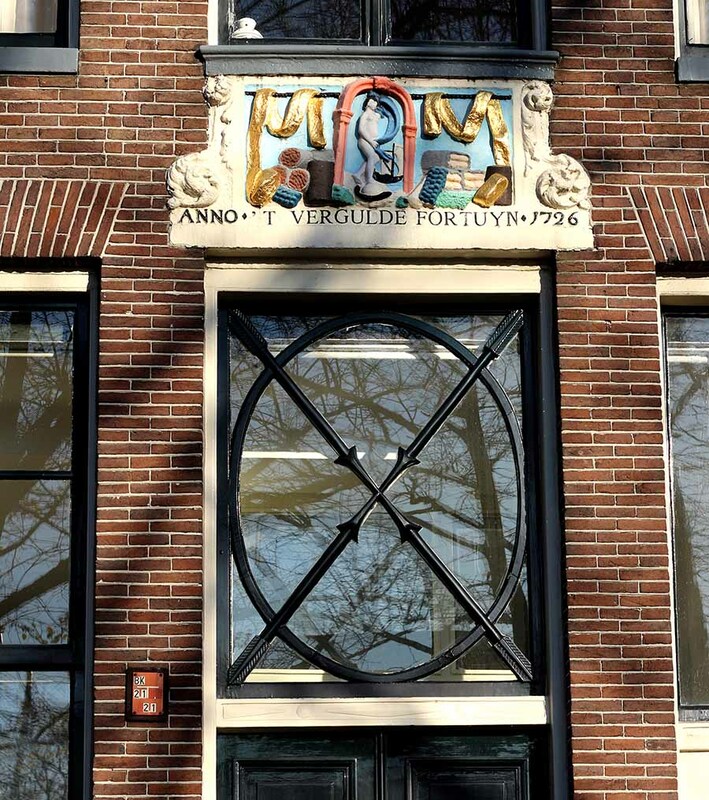 Of course the many symbols of Amsterdam are interesting to spot. 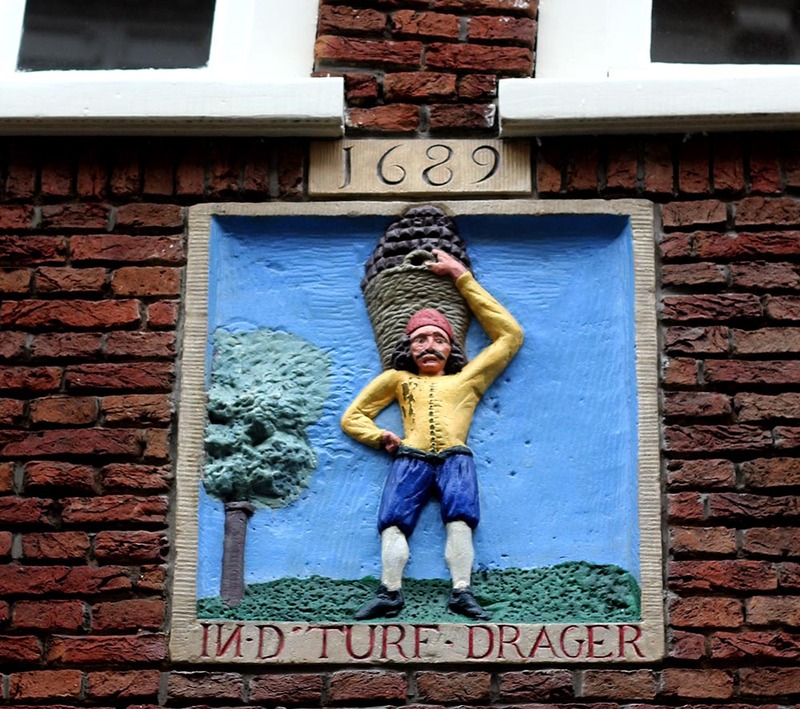 Here is one of my favorites from 1596. 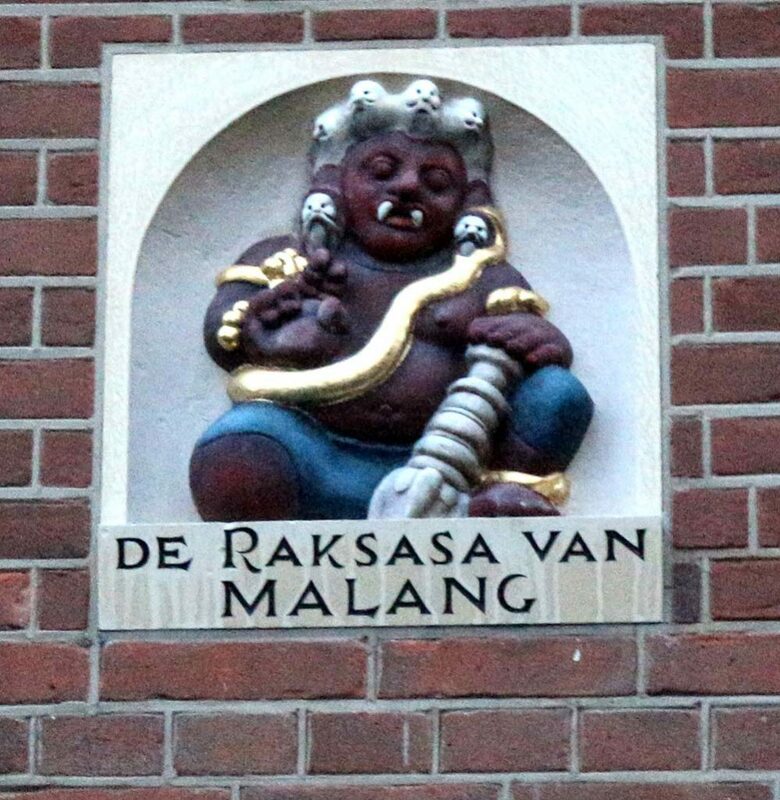 You can find it near the Rapenbrug. 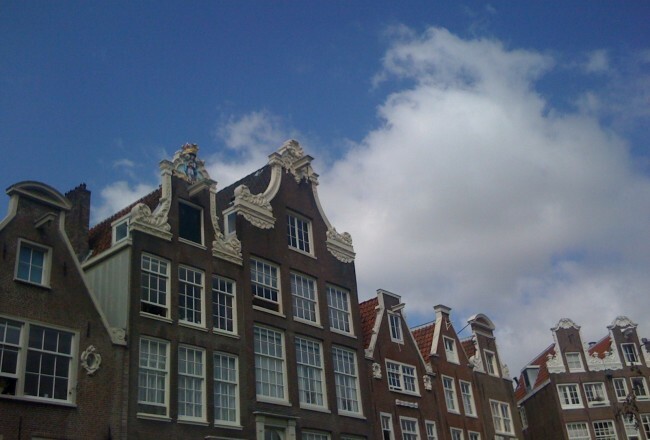 For more information about gevelstenen check Gevelstenen van Amsterdam and gevelstenen.net. 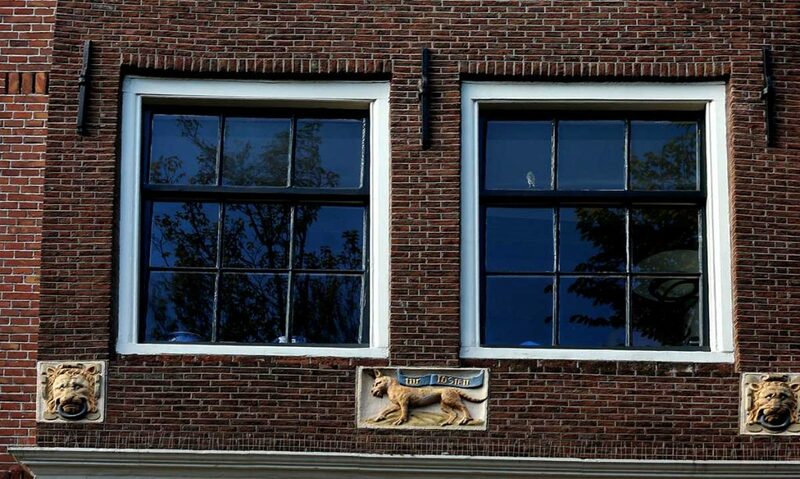 Also don’t miss the huge catalog of photos at Vereniging Vrienden van Amsterdamse Gevelstenen. 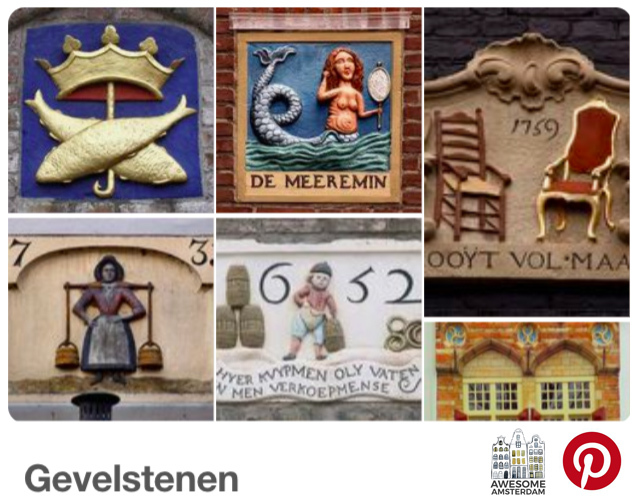 Do you have a favorite gevelsteen in the city? 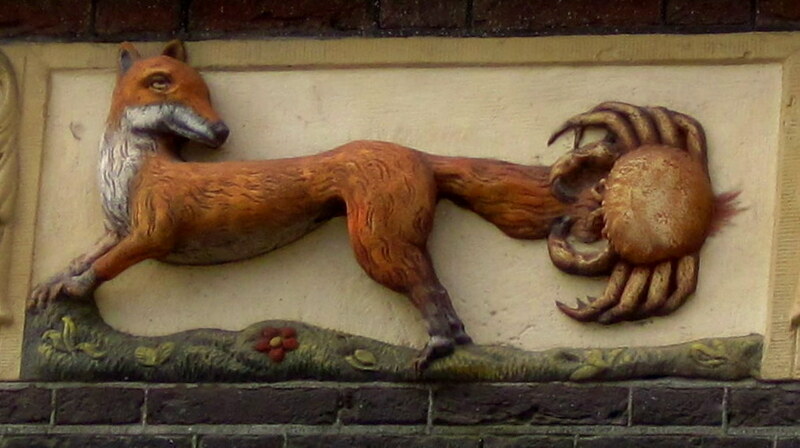 Take a walk, look up and admire the details! 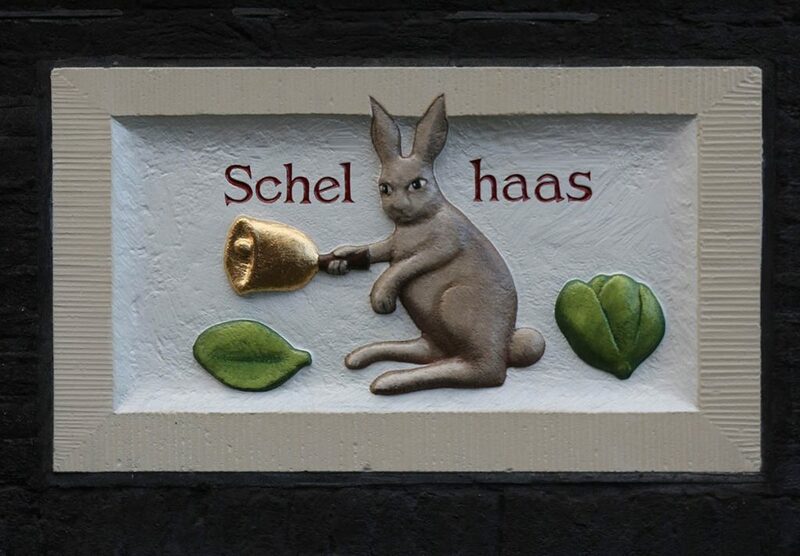 Here are a few more gevelstenen I have spotted around town. Hope you enjoy! 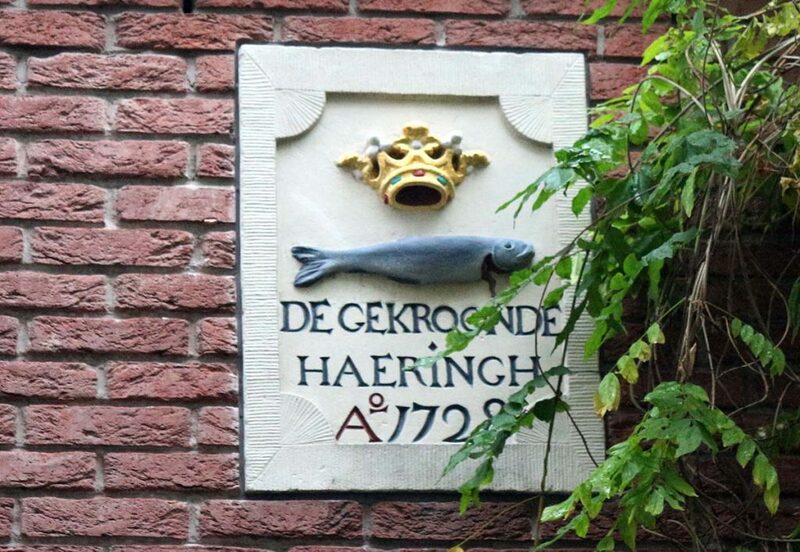 These radishes are on the front of a hofje with the same name. 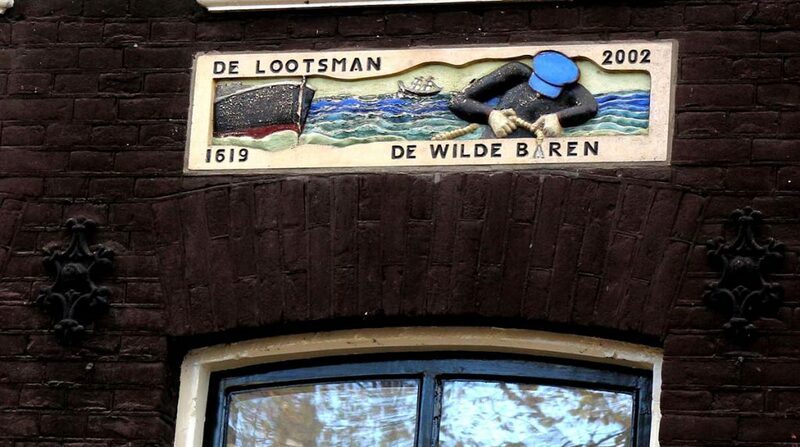 The occupant of this house in the Jordaan was born in Malang, Indonesia.